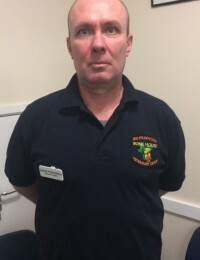 Craig graduated as a Veterinary Surgeon from the Royal Veterinary College, University of London, and has worked at Bush House since 1991. He tends to work primarily in our Ammanford branch. Mark graduated as a Veterinary Surgeon from Glasgow University, and has worked at Bush House since 2003. He tends to work primarily in our Llandeilo branch. Fran has been working as Practice Manager for Bush House since 2011 and is primarily based in our Llandeilo branch. She enjoys catching up with all the branch teams and the variety in her workload. 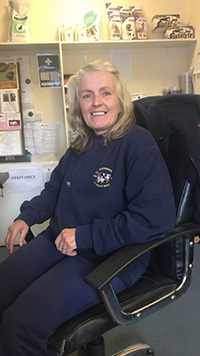 She loves seeing interesting cases throughout all branches, particularly wildlife such as hedgehogs, and her interests are spending time with her family and walking her Jack Russell, Dexter. 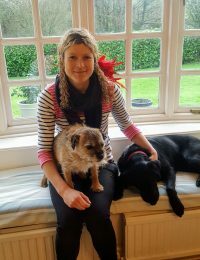 Jo returned to Bush House in January 2017 working as a Veterinary Surgeon across the four branches. Originally Jo was part of the team for a few years when she joined as a new graduate in 2008. Jo enjoys spending time with her husband, young family, dogs and cats. She is fully trained in offering acupuncture to animals who suffer with mobility issues and holds clinics in branches for this service. Carly-Jo has been working as a Nurse Assistant at Bush House since June 2017. 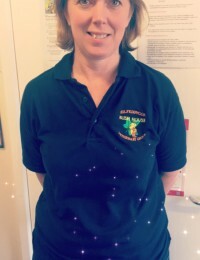 She adores caring for all animals, and primarily works in our Llandeilo branch. Following on from a work experience placement Caz had in our Ammanford branch in 2016, Caz began working at Bush House in January 2017. 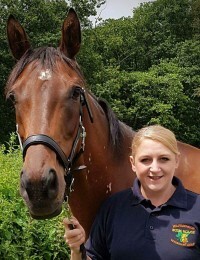 She is currently a Student Veterinary Nurse and has studied a degree in Animal Science. Caz has 2 dogs and 2 cats, after rehoming 2 kittens in September 2017 – one born from a stray mum cat and one found by a member of the public. Her hobbies include travelling, scuba diving and anything animal related! 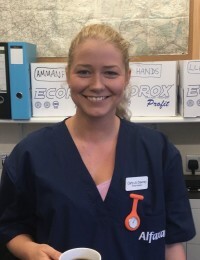 Georgina has been working at Bush House since August 2017 as a Student Veterinary Nurse. 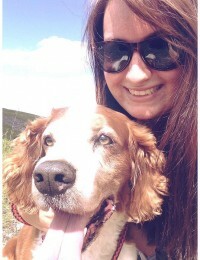 She is based mostly in our Ammanford branch, working closely with our Veterinary Nurse Sam. Gwennan began working as a Nurse Assistant at Bush House since June 2017. She loves all animals, enjoys horse riding and taking her dog Madi for long walks. 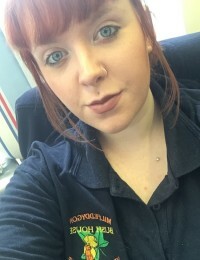 Hannah has been working at Bush House since 2010 as a Nurse Assistant in our Ammanford branch. 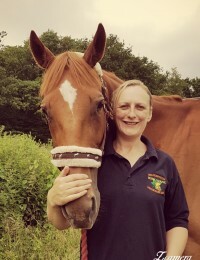 She is passionate about animal welfare, and her hobbies include horse riding and socialising. She loves having a home full of animals, including cats, dogs and horses. 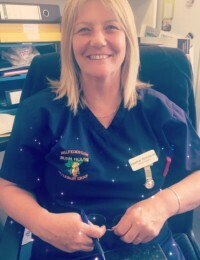 Heather has been working as an experienced Nurse Assistant at Bush House since April 2017, and primarily works in our Llandeilo branch. Trudie has worked for Bush House as a Nurse Assistant / Business Support in our Ammanford and Llandeilo branches since June 2004. She enjoys horse riding, walking her dog, being a mum and socialising with friends & family. She has an elderly Staffie X called Ali and 3 cats (all rescued from Bush House) – Pwt, Kinks and Llwyd. I started work with Bush House in July 2018 where i joined the Reception Team. I enjoy my job very much as it is very varied and my work colleagues are great. I live on a farm with my Partner where we have sheep and beef, but my main interest lies with my Heavy Horses, having moved down from Scotland in 2009 where i used to Show them in hand. My other passion is my dogs to which i have 3 Pyreneans named Zhara Yeva and Rupert and a white GSD named Darcy B.
Anna has been the main point of contact at our Cross Hands branch since 2012. She adores animals and has had an array of pets including cats, dogs, rabbits, hamsters and guinea pigs. Today, she shares her home with her family and fur-babies: the cats, Kitty and Alfie; and Boxer dog Beego. Currently studying Animal Psychology, Anna loves her role and is at her happiest when chatting with clients. Catherine has been working at the Llandeilo branch as Business Support since 2012. She has 2 cats, both rescued strays who have been brought in to Bush House, Leo & Monty. Catherine is currently on maternity leave as she welcomed her baby girl into the world early November! Nia started working for Bush House on a Business Support apprenticeship in 2013, mainly in the Llandeilo and Llandovery branches. She was brought up on a farm just outside Llandeilo, but her main passion is fitness. She also enjoys long walks in the countryside with her friends, family and partner. Shan began working as a Receptionist at Bush House in April 2017. She adores all animals, enjoys horse riding and taking her dogs for long walks in the fields. 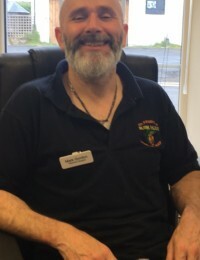 Charlie has been living in our Ammanford branch at Bush House for 16 years. He was found as a kitten in a cardboard box pushed underneath a hedge in Ammanford park and brought into us by a member of the public. He made himself at home and has never wanted to leave! He is loved by ALL the staff and likes to think he is the boss! 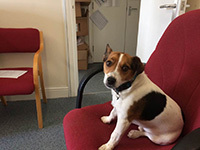 Dexter belongs to our practice manager and our Llandeilo branch is his second home. He is loved by all our staff. He is 4 years old and his hobbies include: chasing balls, receiving fuss, and eating.